Thought I’d write a post summarising the best bits of the Edinburgh International Festival 2010. I think firstly the best bit was meeting a whole load of great people. Film makers, animators, actors, press and students and more made the whole experience worth while. I got to catch up with some people I hadn’t seen in a while and make some great new contacts. Next the films. Ups and downs but there were some great films this year. I didn’t get to see as many shorts as I would’ve liked but saw plenty features. My finished thoughts on these individually will be posted on my cinema reviews/thoughts site. Then there were the industry events. I attended a lot of networking events which were good for free beer and meeting people. I went to a couple of technology demos from Sony and Canon. Canon’s one’s were especially interesting and have boosted my knowledge of new DSLR’s with HD video. I also attended some meet the film makers and breaking into the industry talks which were useful and interesting. 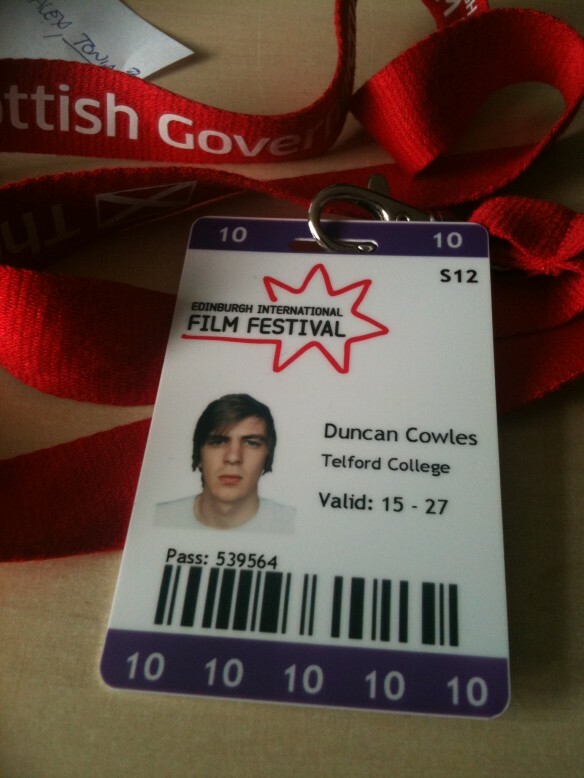 I’ll definitely be attending next year’s festival, either as staff, delegate or even better…film maker.